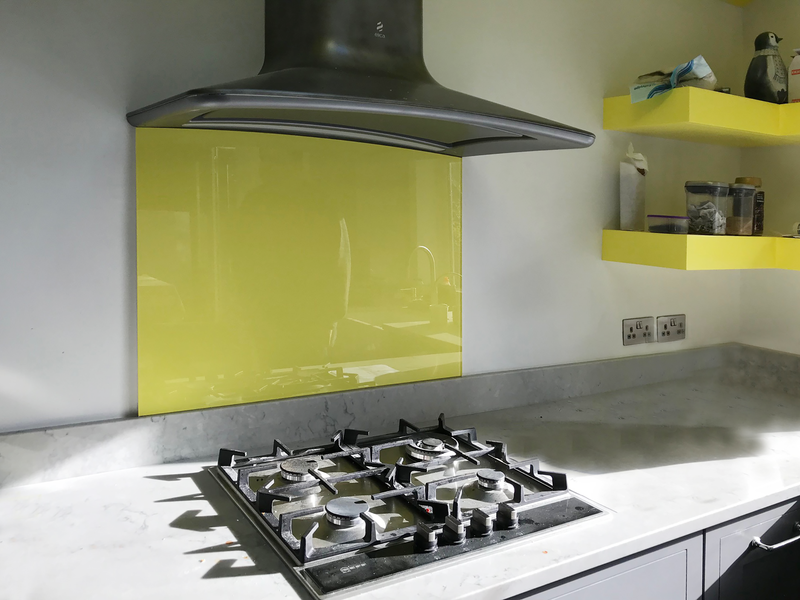 Glass panels look stunning in bright colours – the extra layer of gloss that glass provides adds real punch to hues such as sunshine yellow, zesty orange, vibrant cherry and lime green. 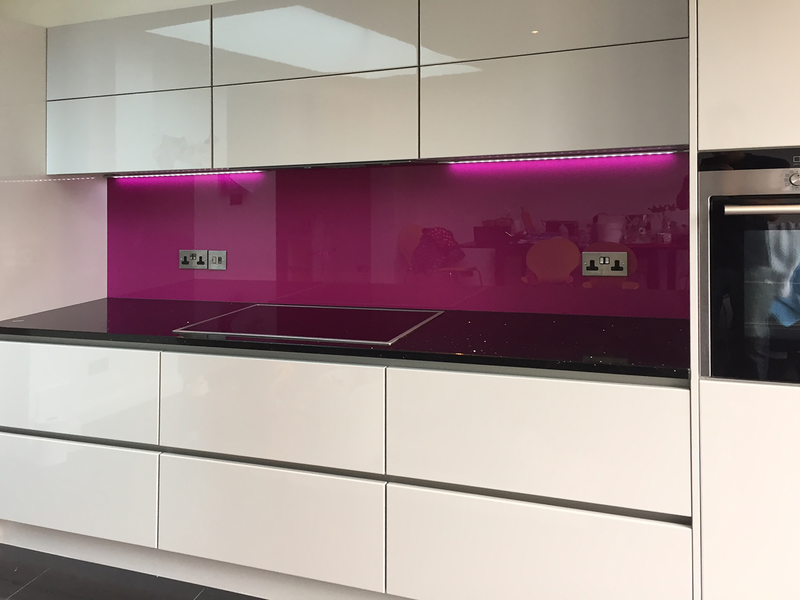 Brightly coloured glass splashbacks create serious impact that will lift an understated space to another level or add the finishing touch to a room that already has plenty of visual drama. 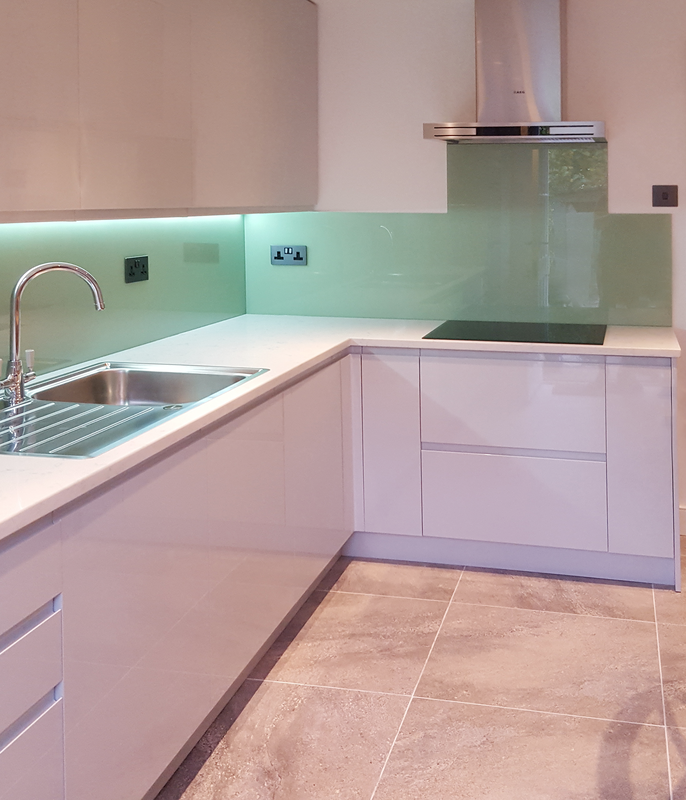 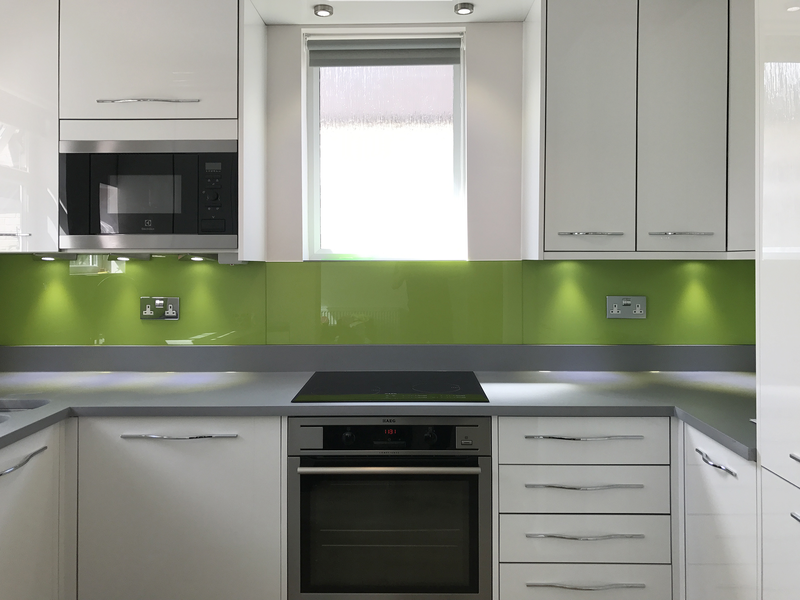 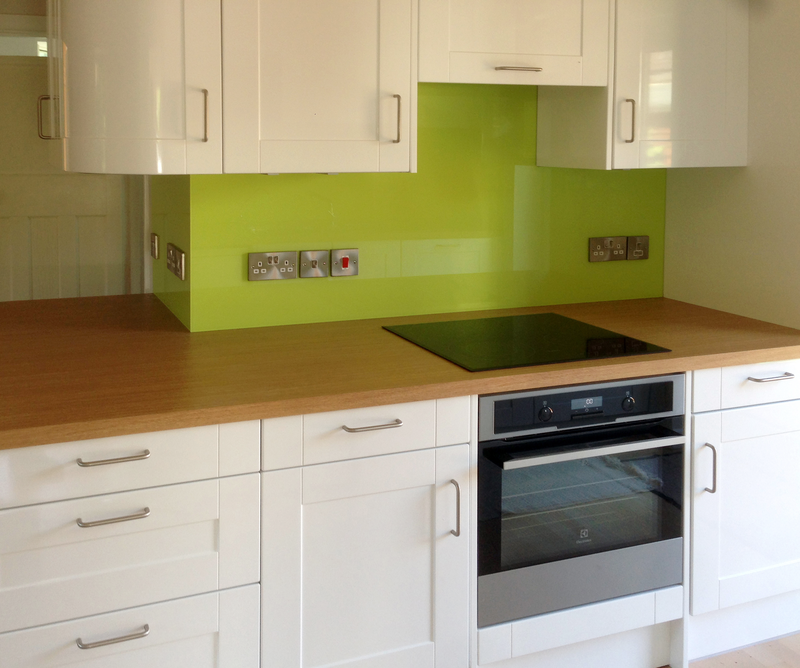 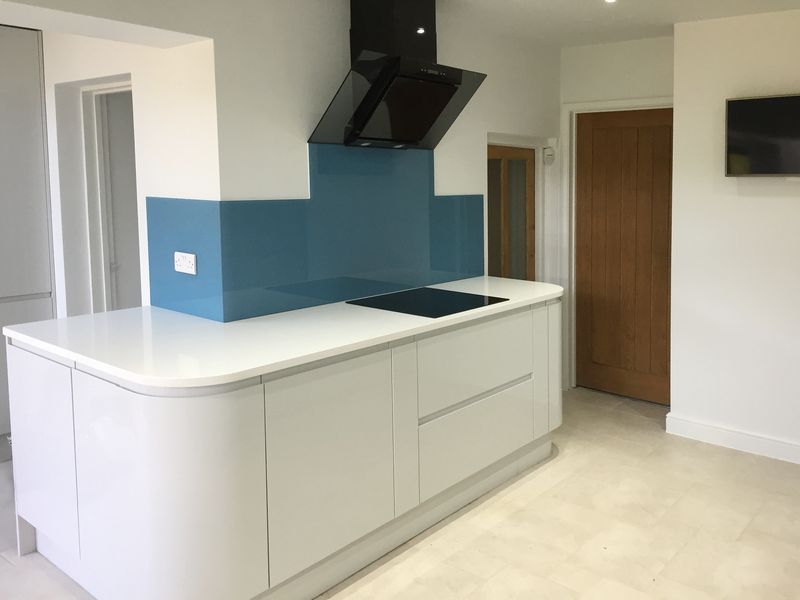 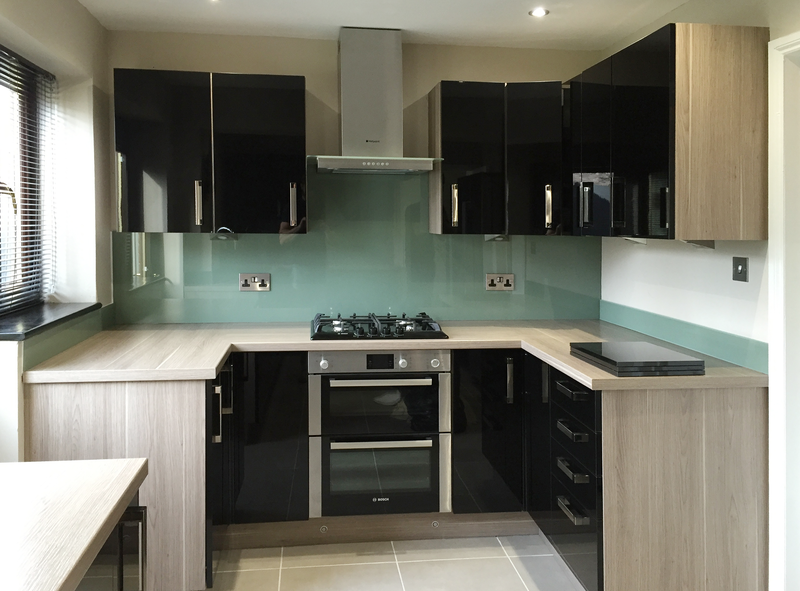 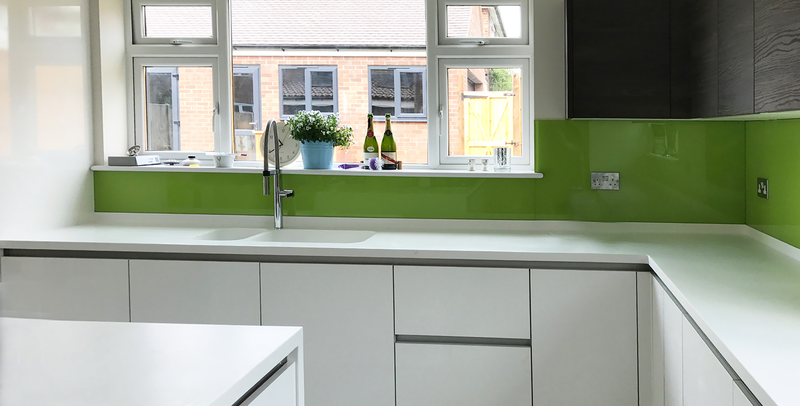 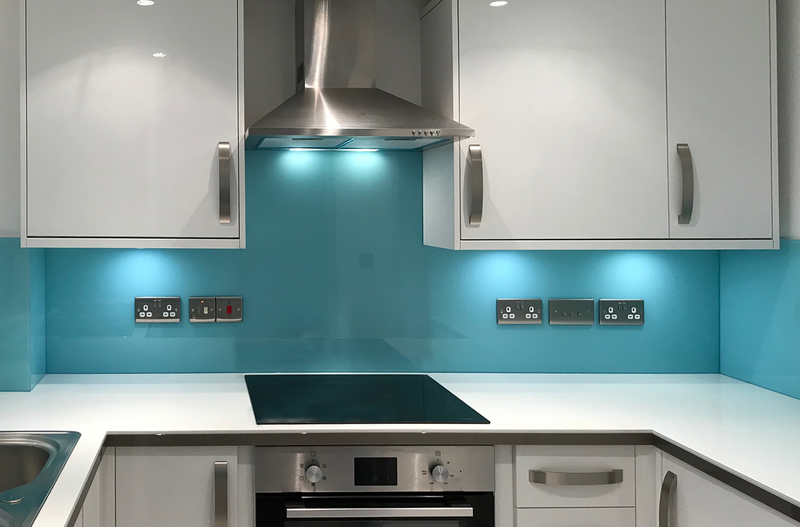 Many of our customers pair brightly coloured glass splashbacks with white, cream or pale grey kitchen units to add personality and vitality to an otherwise neutral scheme. 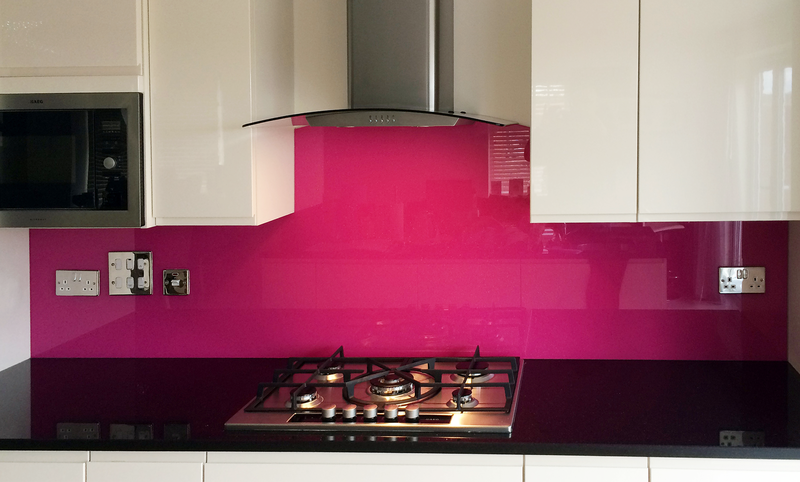 This is a highly effective – and very easy – way to give your kitchen a designer feel without breaking the bank. 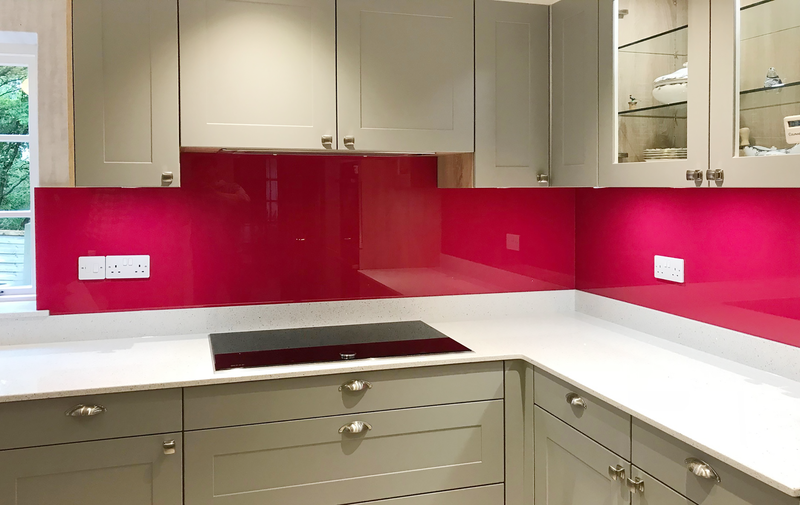 Bright glass also gives a final flourish to kitchens that already have bags of character, such as unusual design features, unique finishes or period details. 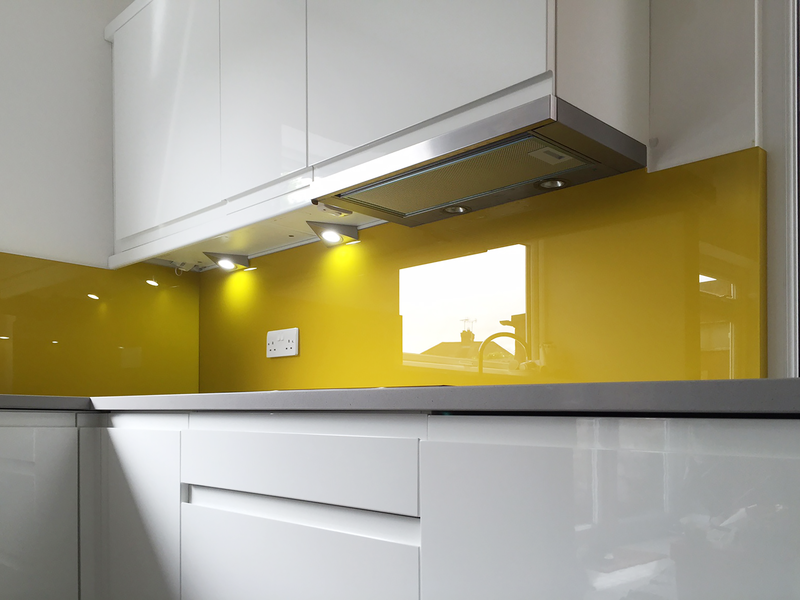 In the bathroom, vivid colours are fresh and energising. 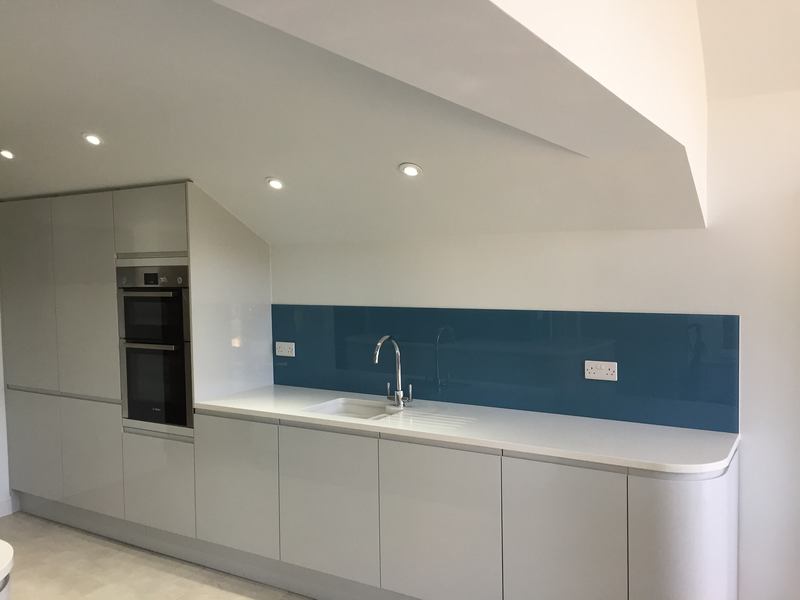 Blue is always popular of course and, paired with a white suite, turquoise or sky blue glass offers a contemporary update on a classic look. 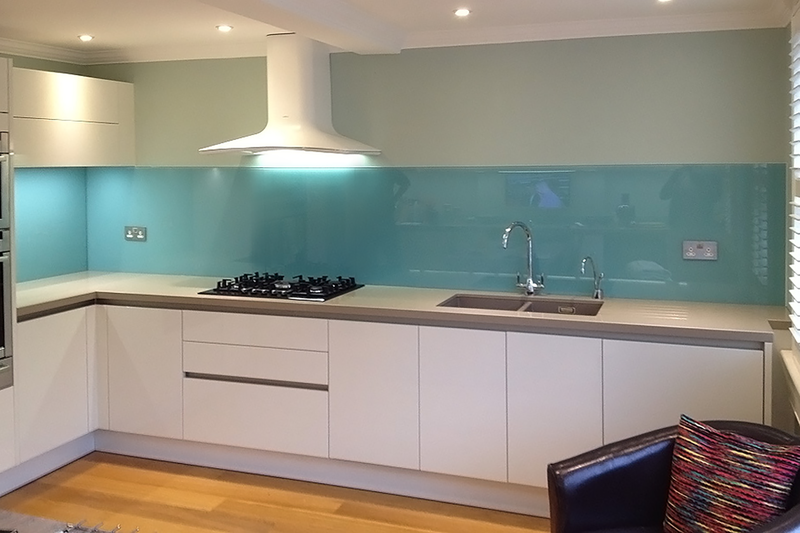 We also love mint green – by day this is an invigorating shade, while it looks softer and more restful in dimmer light. 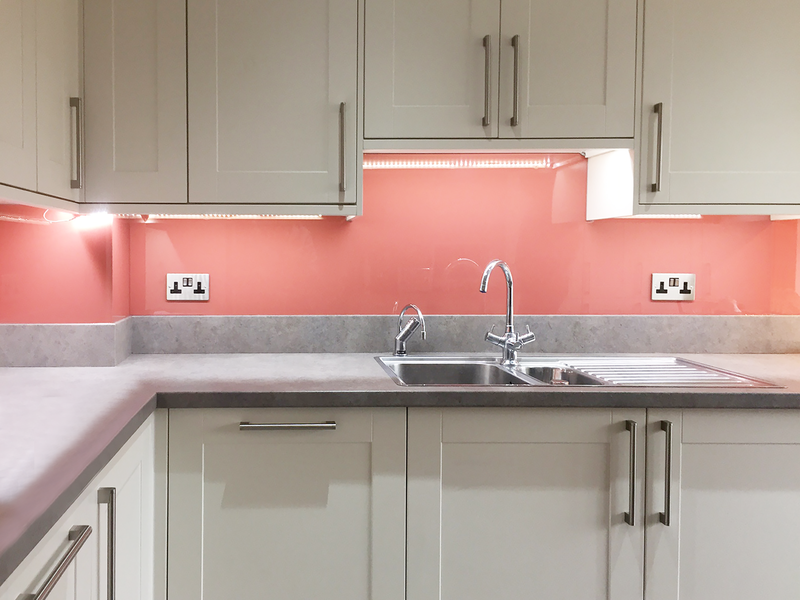 Fruity oranges and yellows are also great choices in a bathroom as they are full of zest and vitality – perfect for that early morning pick-me-up. 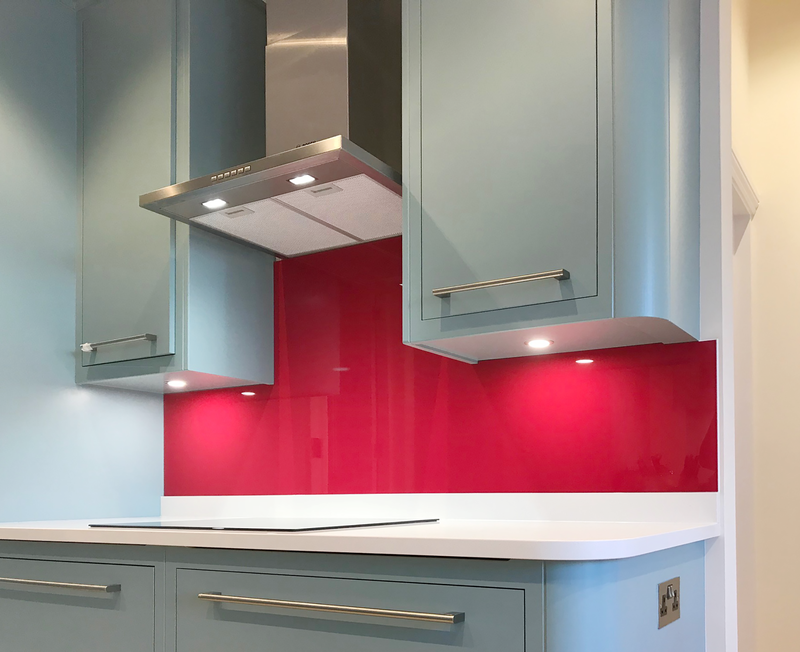 Brightly coloured glass splashbacks offer a great opportunity for colour matching to painted walls, a favourite appliance or piece of art, or just to a colour you love. 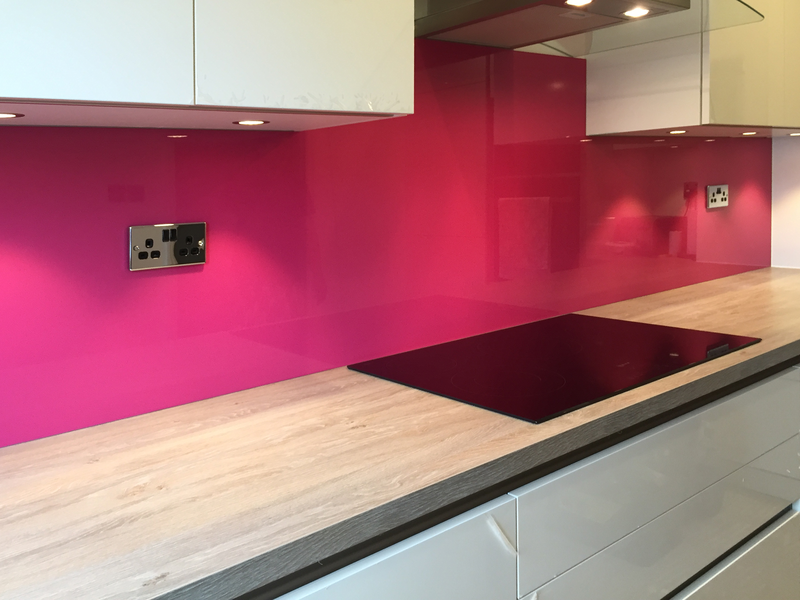 We can recreate almost any shade as a glass wall covering – just give us a call and we will talk you through the process. 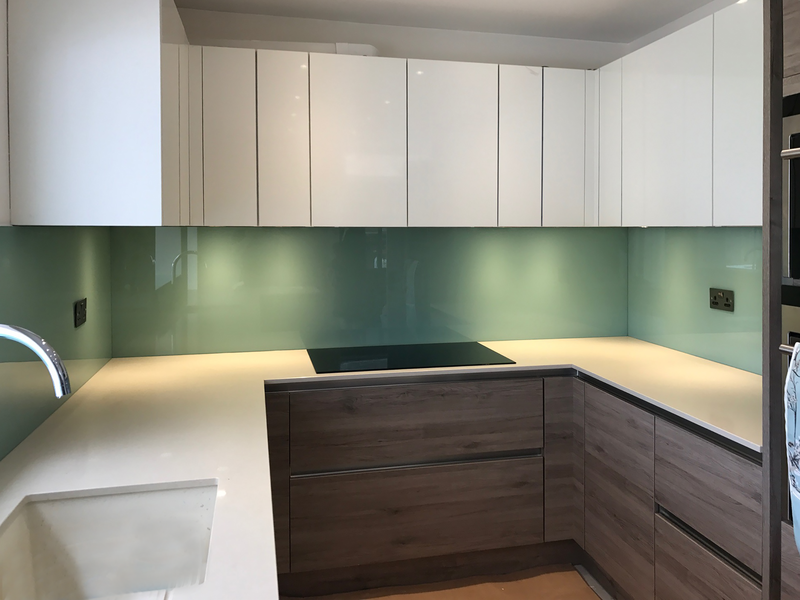 Note: we do use the clearest glass possible, but the inherent green tint of the glass might alter the colour of the panel by a tiny amount. 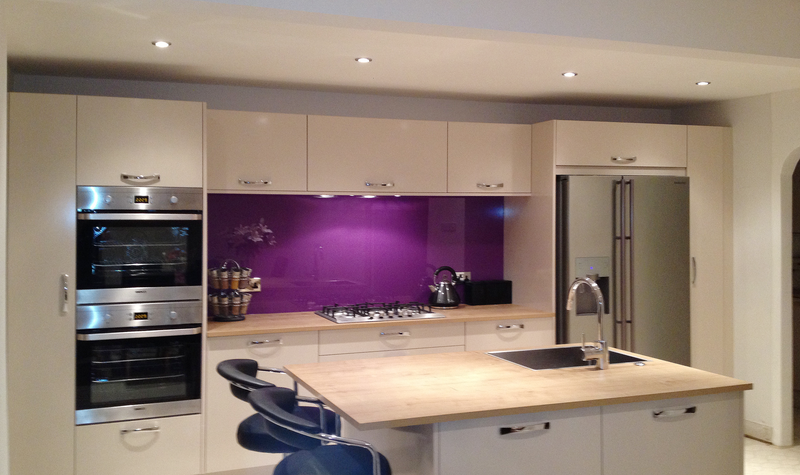 However, this is less of an issue with brighter and darker shades. 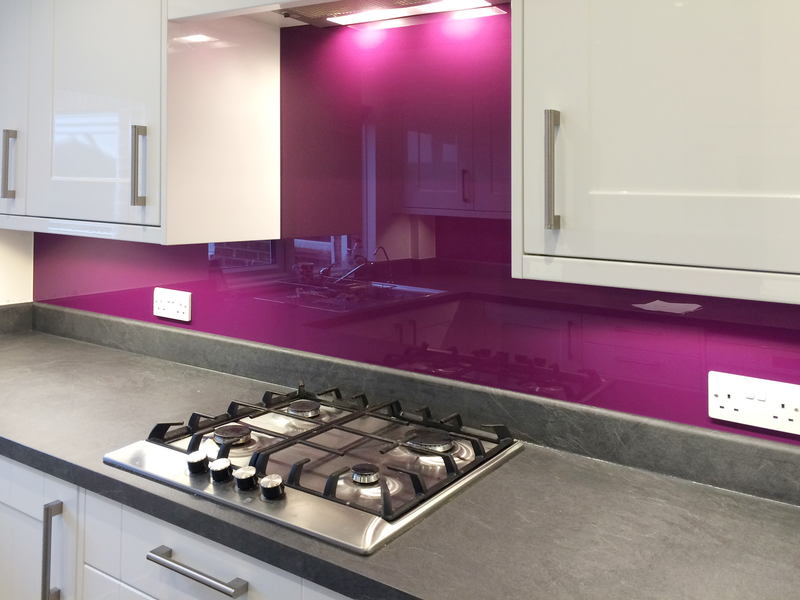 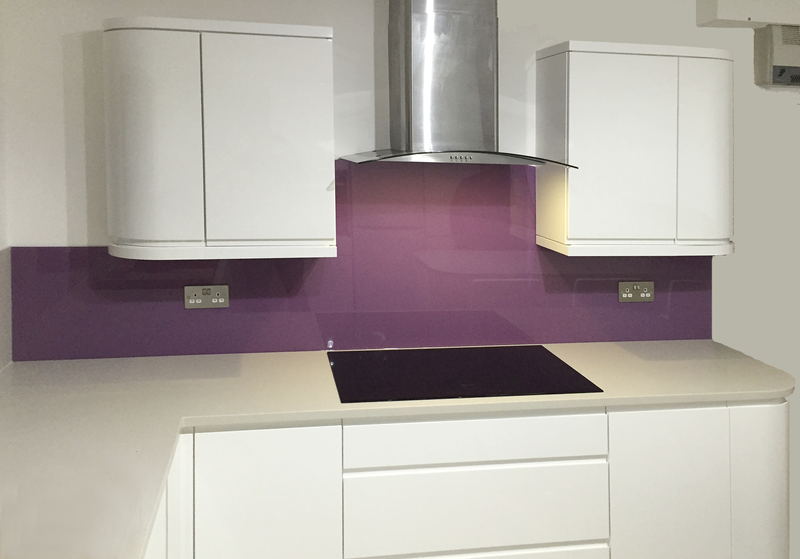 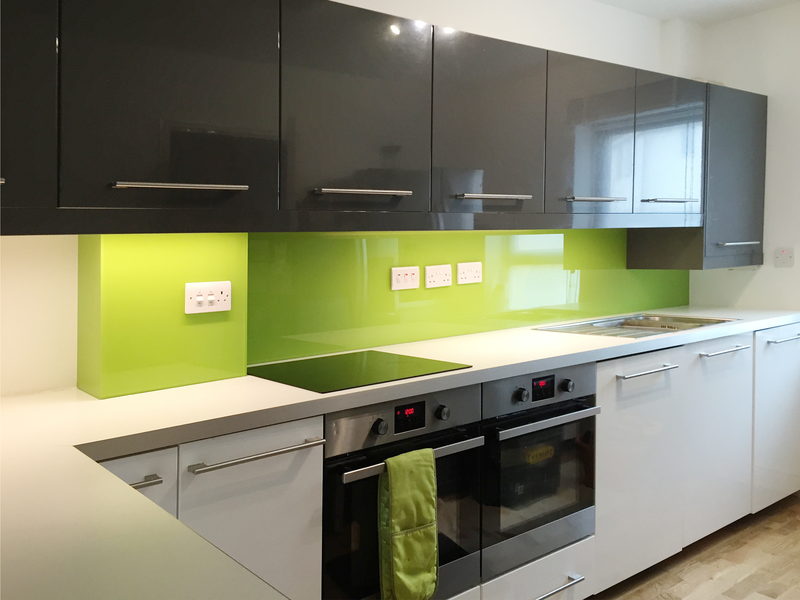 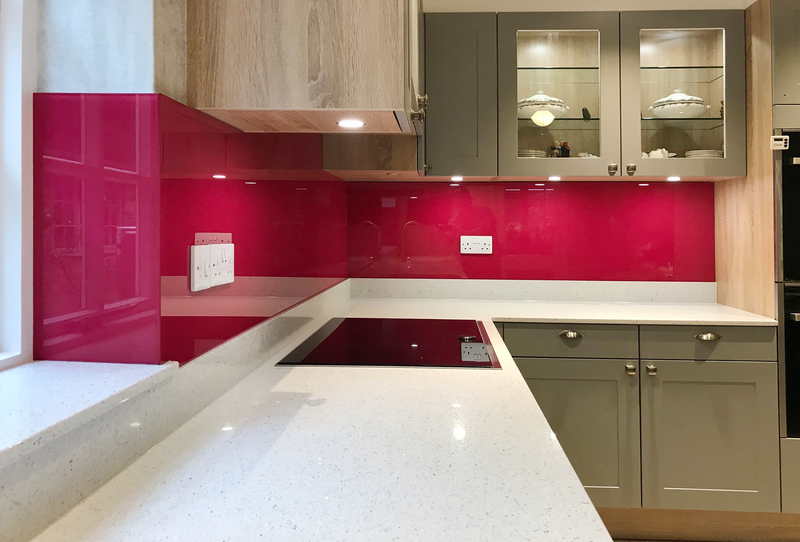 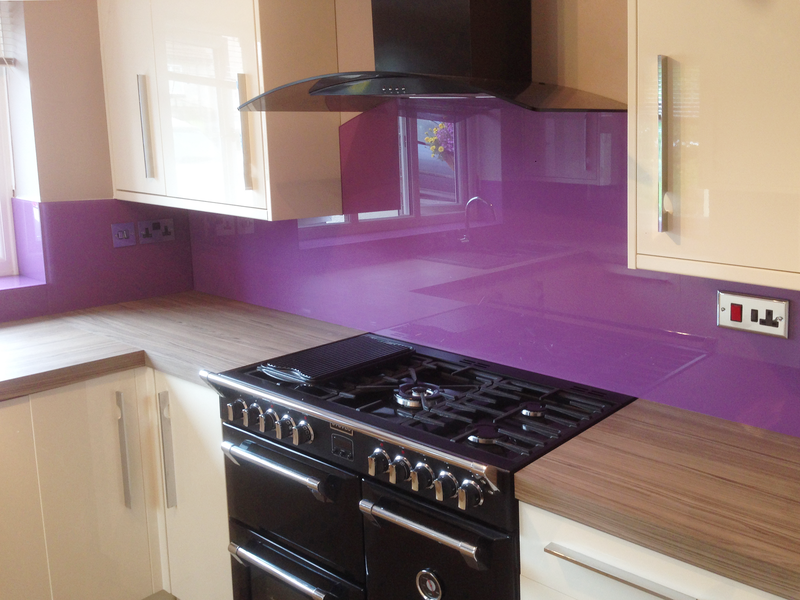 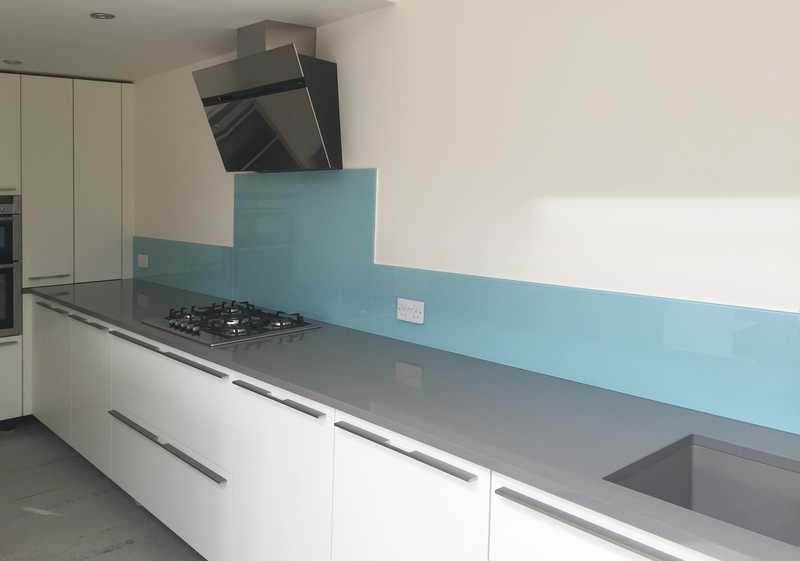 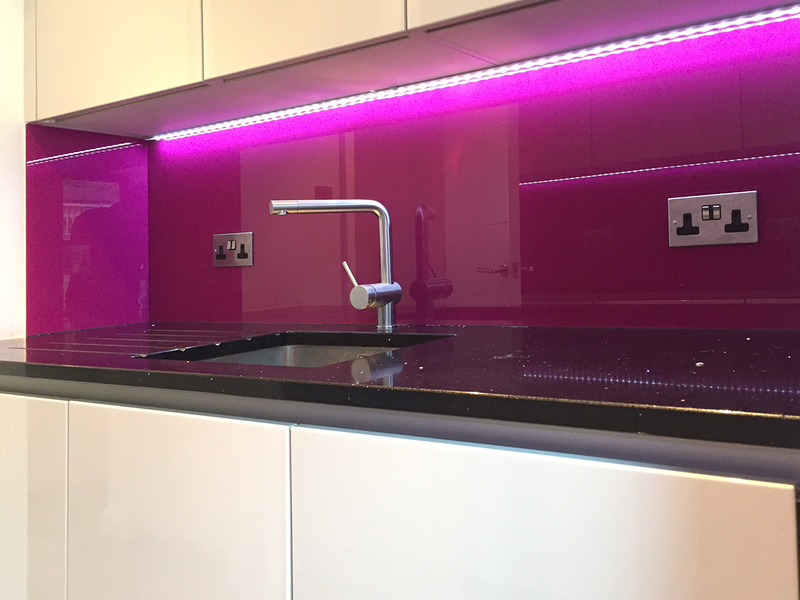 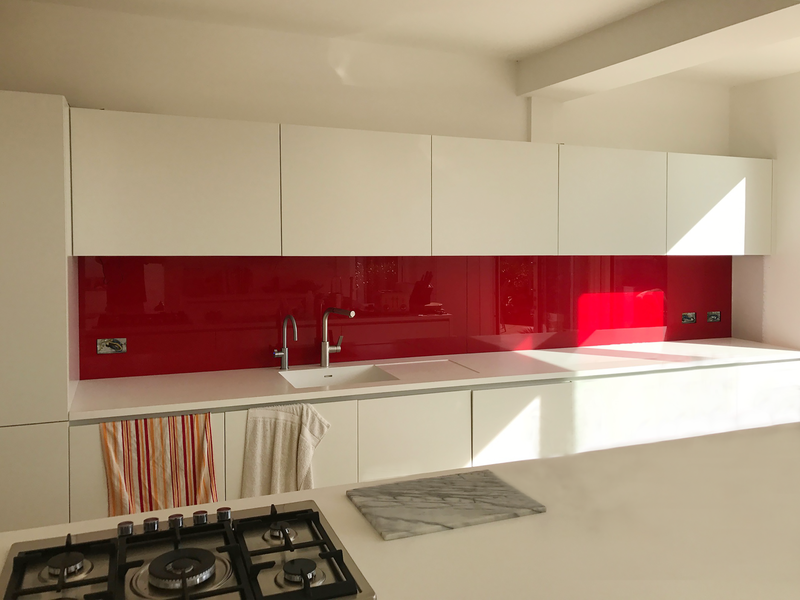 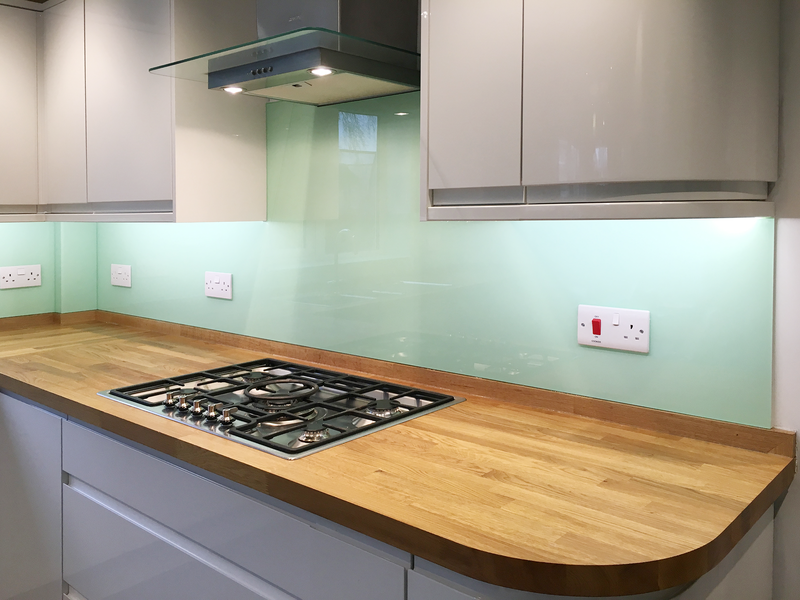 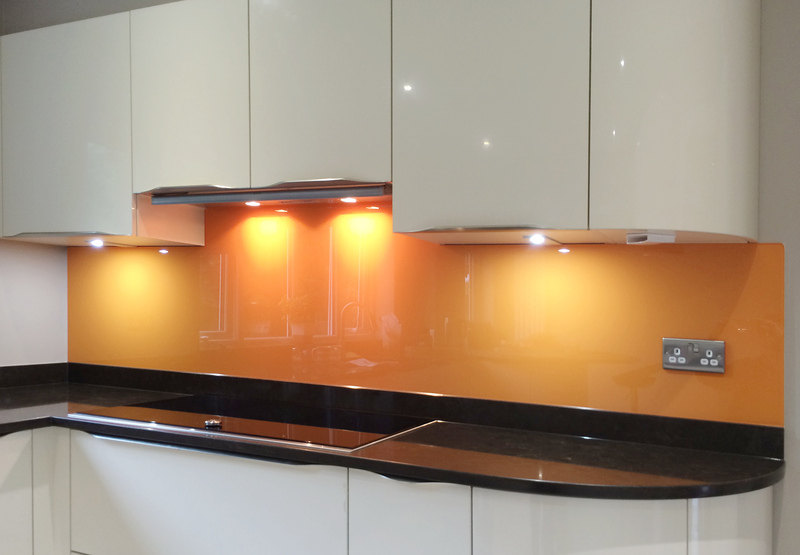 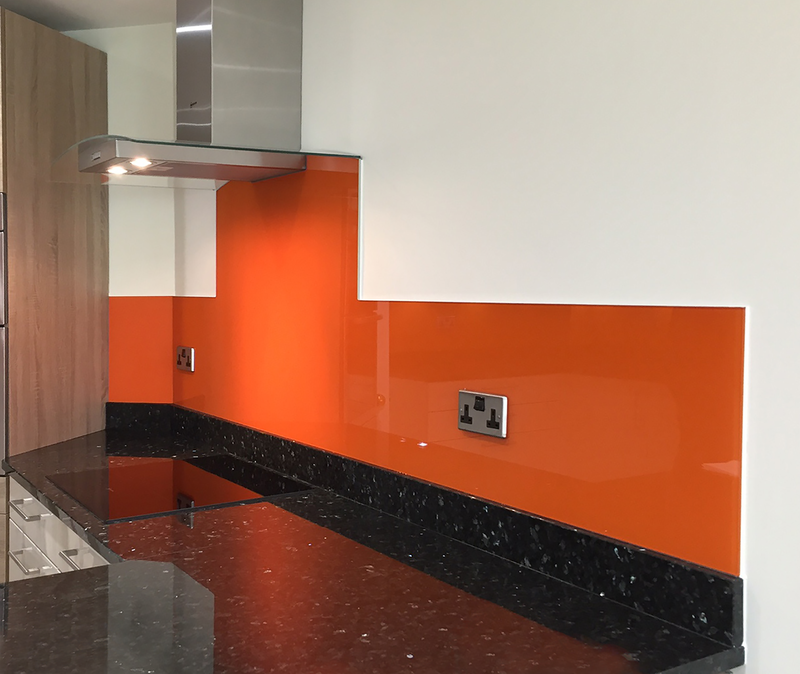 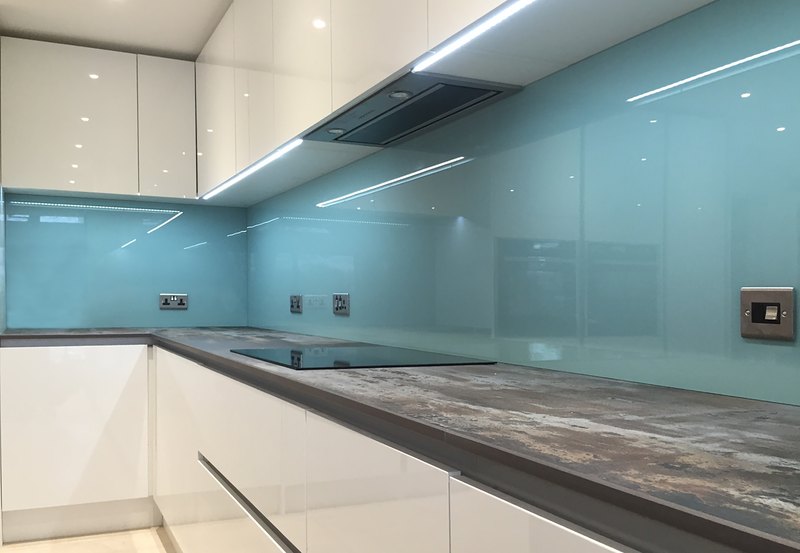 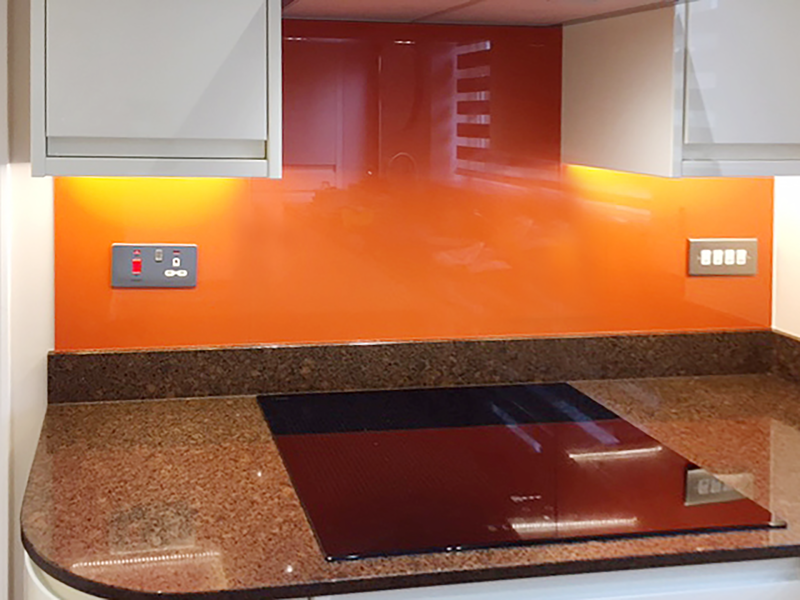 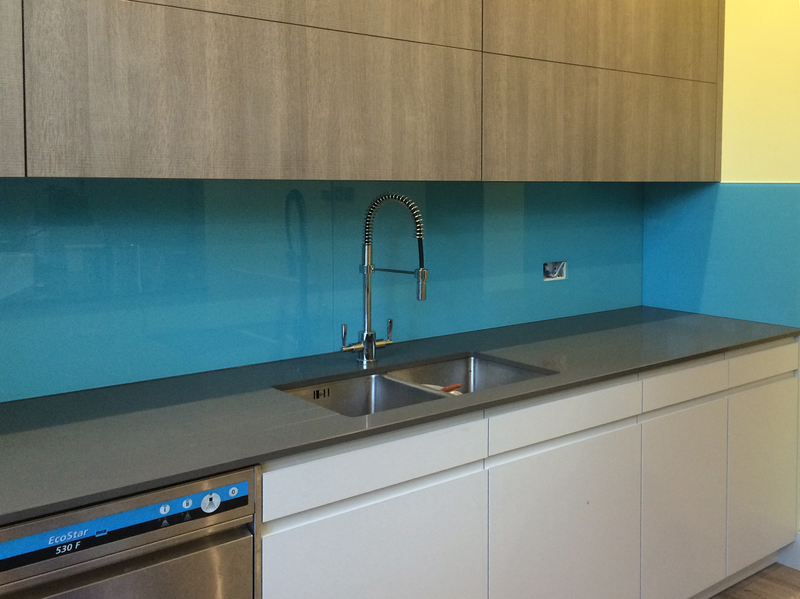 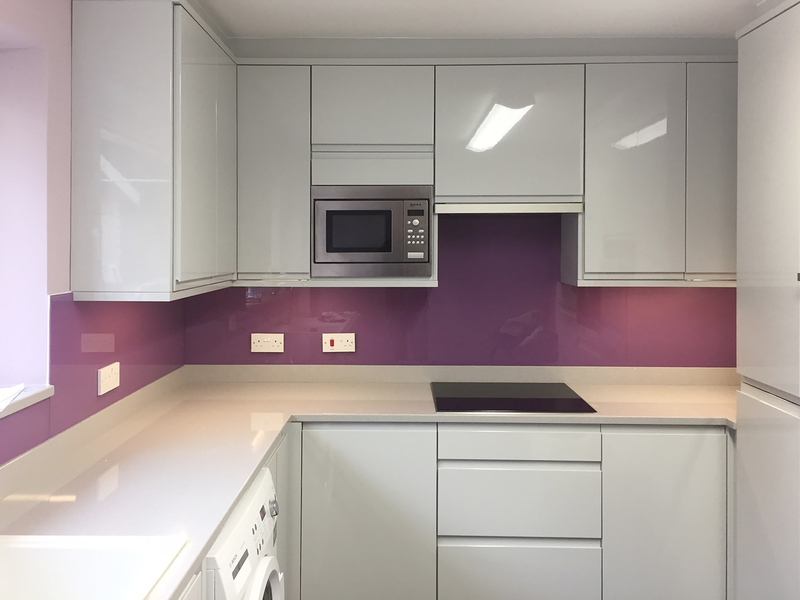 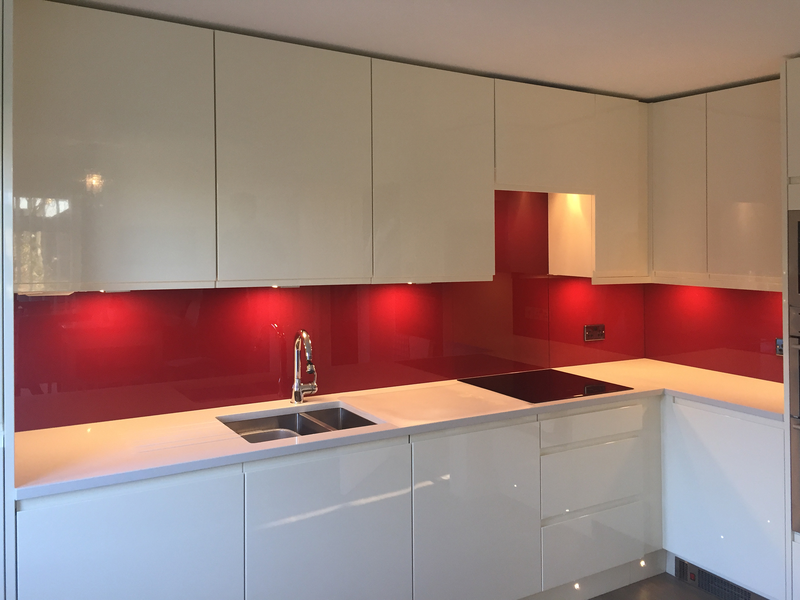 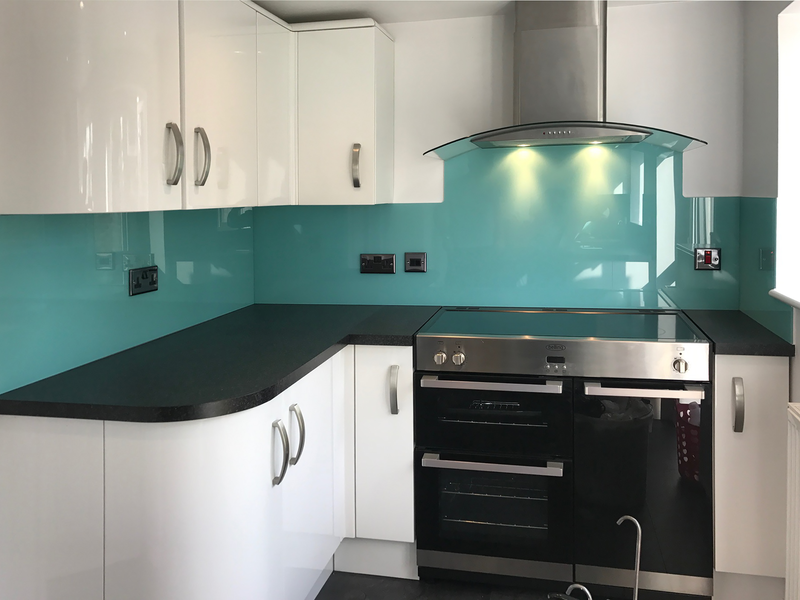 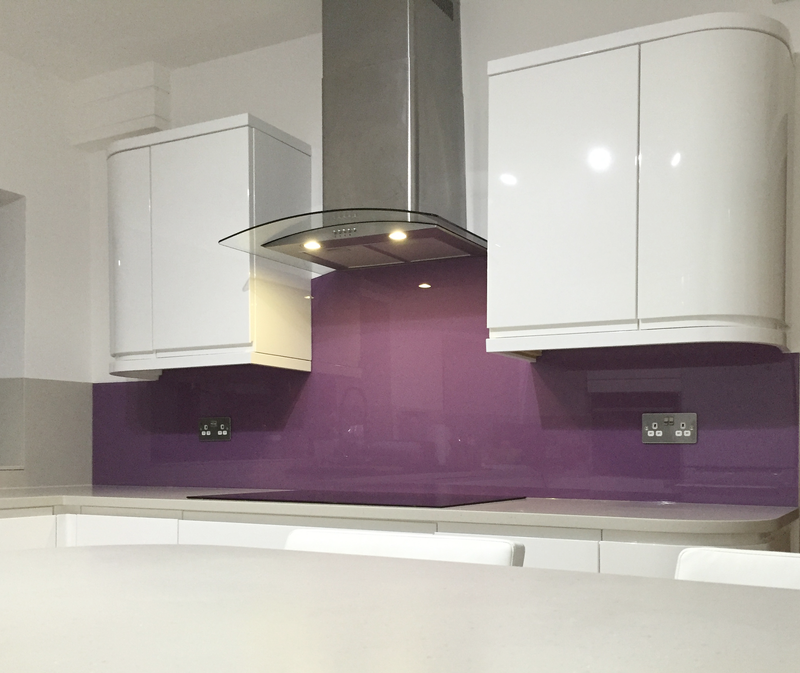 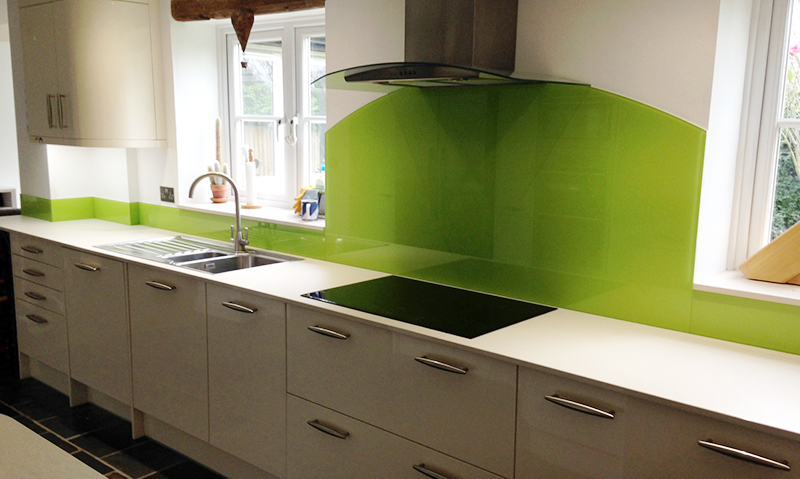 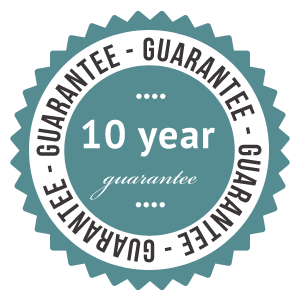 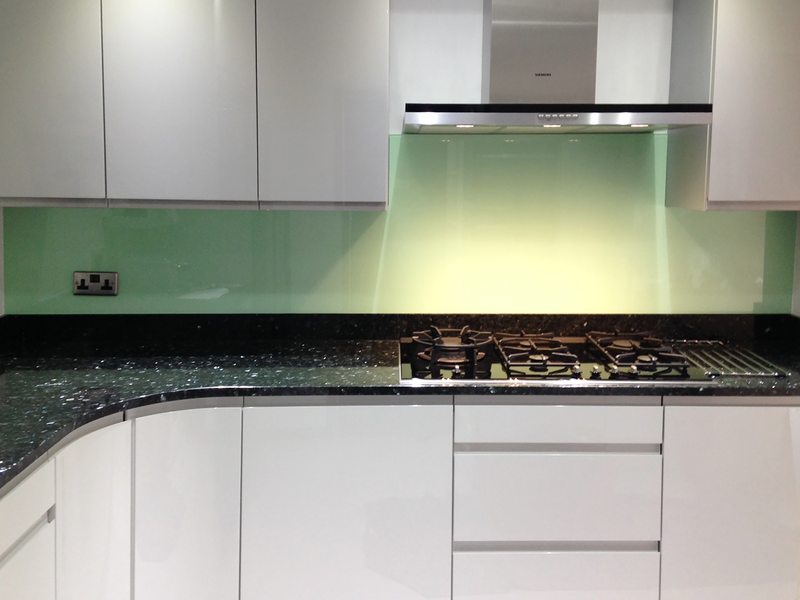 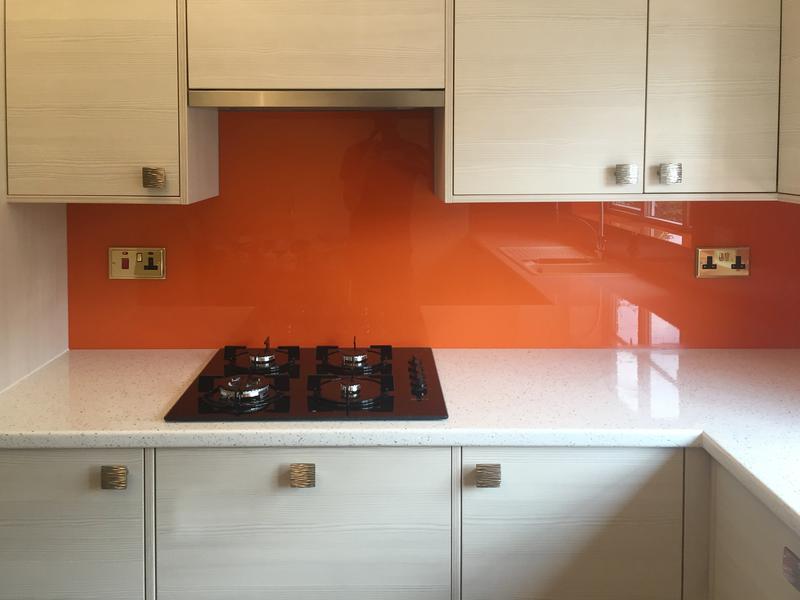 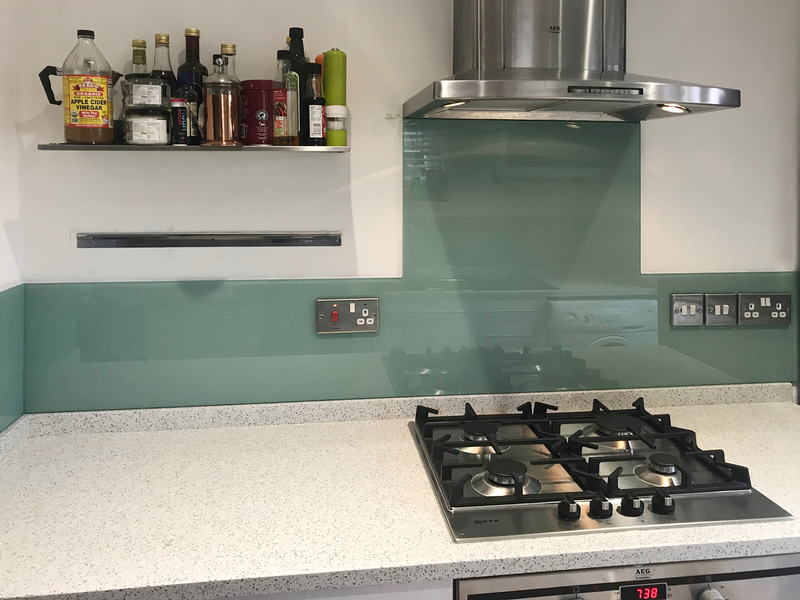 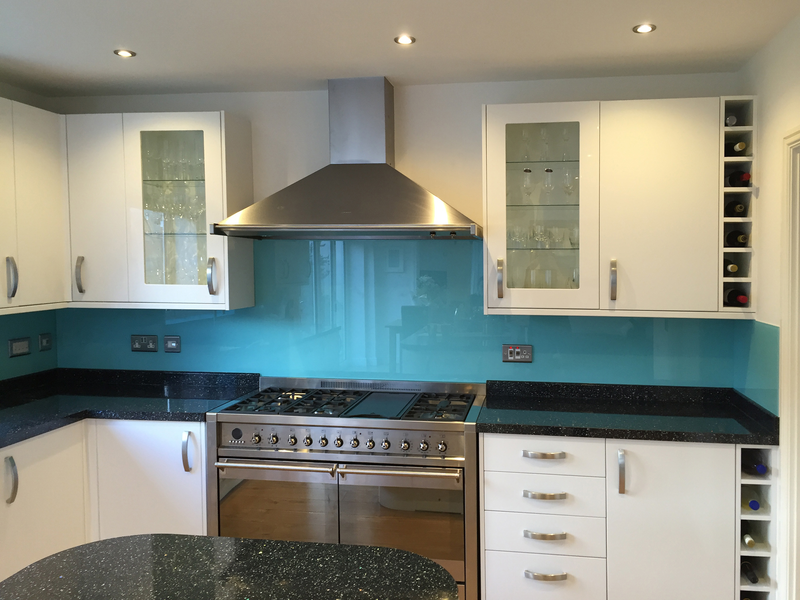 All of our brightly coloured glass splashbacks are completely bespoke and come in any size – there are no “standard sizes”, and each panel is cut to order. 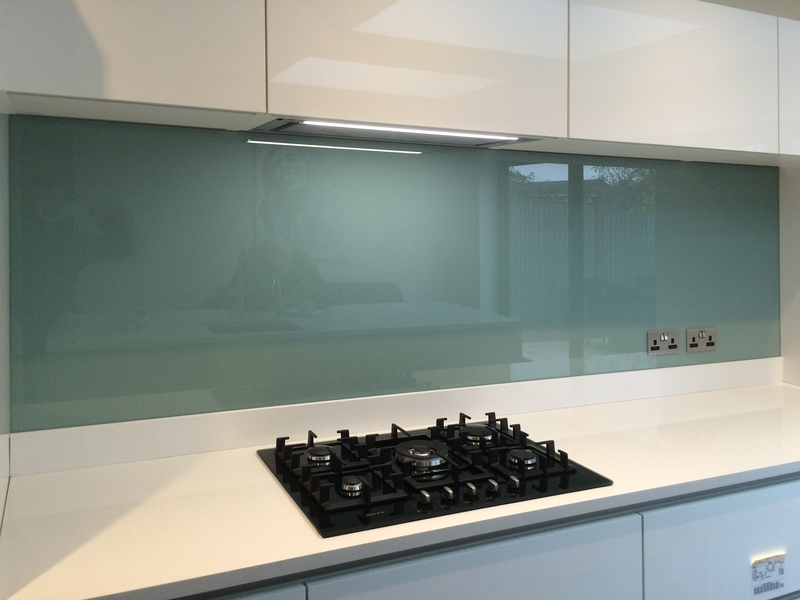 If a glass panel needs to be cut off square, it’s no problem and this is at no additional cost. 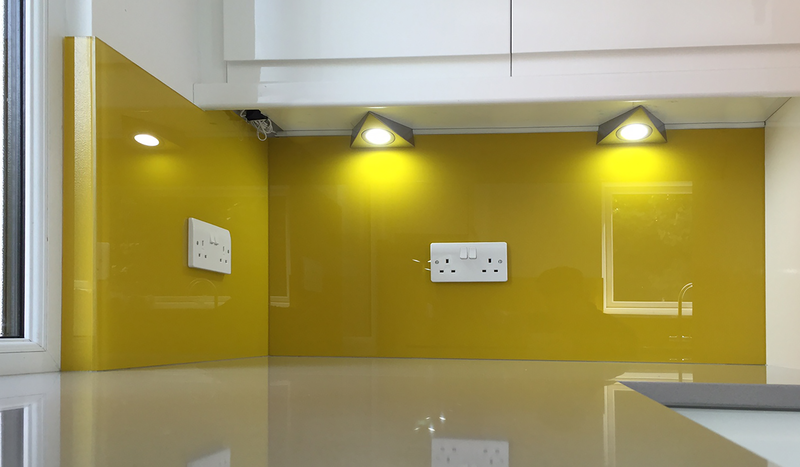 Cut-outs for any sockets, notches and extractors come as part of the service we offer as all of our glass is cut with incredible precision by our in-house water jet cutter.